Foreclosure is one of the most devastating financial challenges that a family can face and one that many times can be avoided. 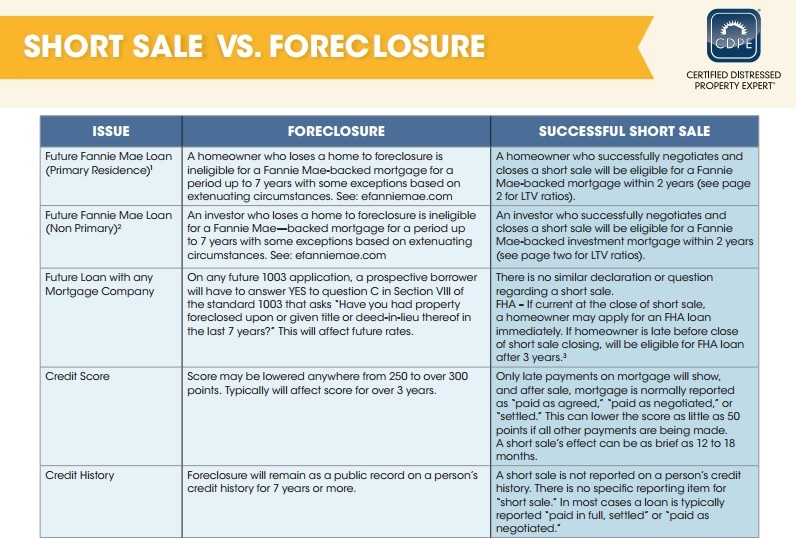 In the chart below are highlighs from a summary of short sale vs. forceclosure and the impact on your credit, and ability to get a mortgage again soon. Also known as a “friendly foreclosure,” a deed-in-lieu allows the homeowner to return the property to the lender rather than go through the foreclosure process. Lender approval is required for this option, and the homeowner must also vacate the property. Many have considered and marketed bankruptcy as a “foreclosure solution,” but this is only true in some states and situations. If the homeowner has non-mortgage debts that cause a shortfall of paying their mortgage payments and a personal bankruptcy will eliminate these debts, this may be a viable solution. This represents only a summary of some of the solutions available to homeowners facing foreclosure. To explore options, set up a time to meet with Susanna for an evaluation of your individual situation, property value, and possible options. Understanding your options now could mean all the difference in the world. 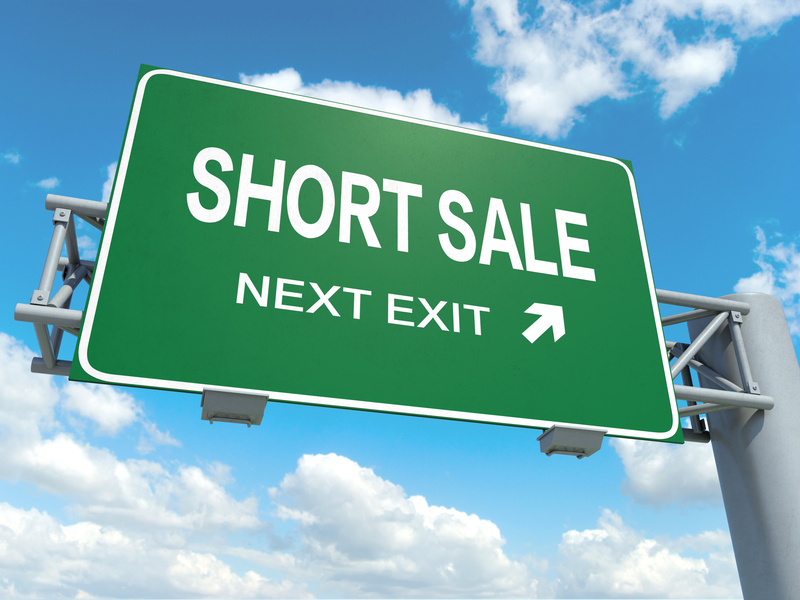 Contact Susanna for a detailed chart of foreclosure vs. short sale risks and benefits.